1 DEFINITION OF LAW Law, as it is, is the command of the Sovereign. It means, law has its source in sovereign authority, law is accom­panied by sanctions, and the command to be a law should compel a course of conduct. Being a command the law must flow from a determinate person or group of persons with the threat of displeasure if it is not obeyed. Sovereignty is, however, only a part of the state. So, in ultimate sense, law emanates from the state. Thus the term Law is used to denote rules of conduct organized society have to follow certain common rules, otherwise peaceful living is impossible. It is the function of the State to enforce these rules Holland : Law is, "a rule of external human action enforced by the sovereign political authority". From this definition it follows that there are three essential characteristics of law. 1. Law is a rule relating to the actions of human beings. 2. Law attempts to regulate the external actions of human beings. 3. Law is enforced by the State Anson : Rules regarding human conduct necessary for peaceful living as well as for progress and development. Anson observes as follows: ‘ The object of Law is Order, and the result of Order is that men are enabled to look ahead with some sort of security as to the future. Although human action cannot be reduced to the uniformities of nature, men have yet endeavored to reproduce by Law something approaching to this uniformity’. 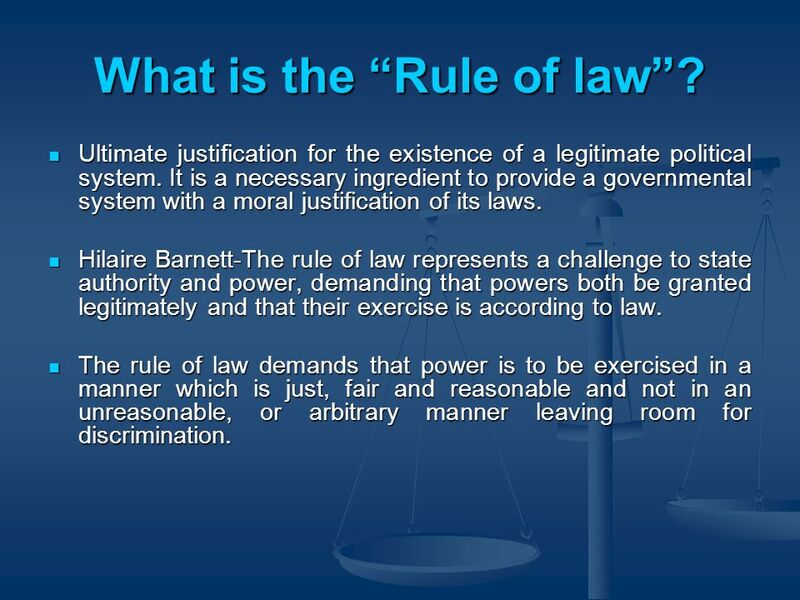 2 What is the “Rule of law”? Ultimate justification for the existence of a legitimate political system. It is a necessary ingredient to provide a governmental system with a moral justification of its laws. Hilaire Barnett-The rule of law represents a challenge to state authority and power, demanding that powers both be granted legitimately and that their exercise is according to law. The rule of law demands that power is to be exercised in a manner which is just, fair and reasonable and not in an unreasonable, or arbitrary manner leaving room for discrimination. Stated in his book ‘The Politics’ that ‘the rule of law is preferable to that of any individual’. 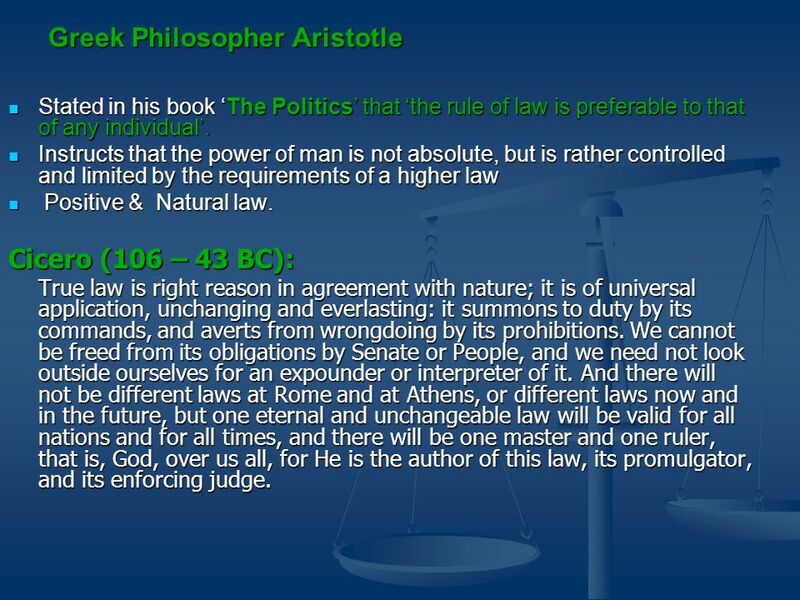 Instructs that the power of man is not absolute, but is rather controlled and limited by the requirements of a higher law Positive & Natural law. Cicero (106 – 43 BC): True law is right reason in agreement with nature; it is of universal application, unchanging and everlasting: it summons to duty by its commands, and averts from wrongdoing by its prohibitions. We cannot be freed from its obligations by Senate or People, and we need not look outside ourselves for an expounder or interpreter of it. And there will not be different laws at Rome and at Athens, or different laws now and in the future, but one eternal and unchangeable law will be valid for all nations and for all times, and there will be one master and one ruler, that is, God, over us all, for He is the author of this law, its promulgator, and its enforcing judge. 5 Karl Marx: Marxism insists that law represents the interests of the powerful within society. the rule of law represents no more than a false idealization of law designed to reinforce the political structure and economic status quo in society. 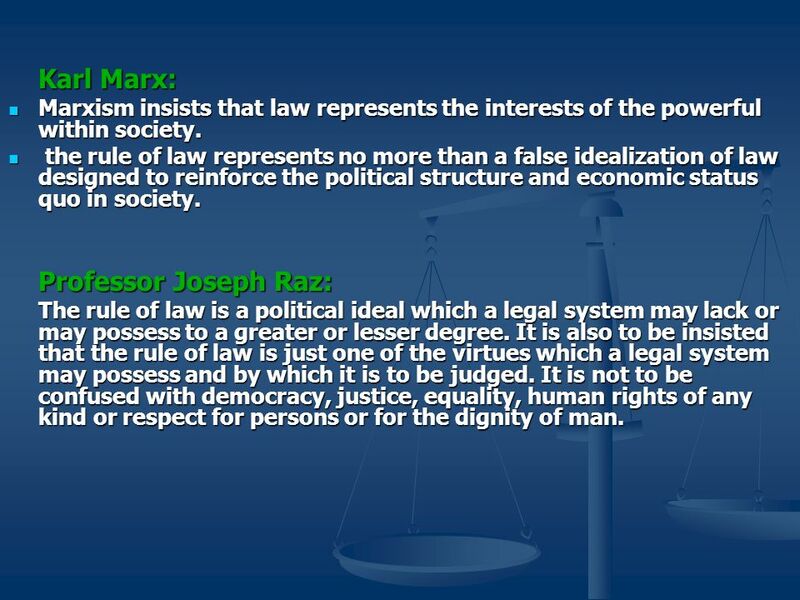 Professor Joseph Raz: The rule of law is a political ideal which a legal system may lack or may possess to a greater or lesser degree. It is also to be insisted that the rule of law is just one of the virtues which a legal system may possess and by which it is to be judged. It is not to be confused with democracy, justice, equality, human rights of any kind or respect for persons or for the dignity of man. 6 A.V. 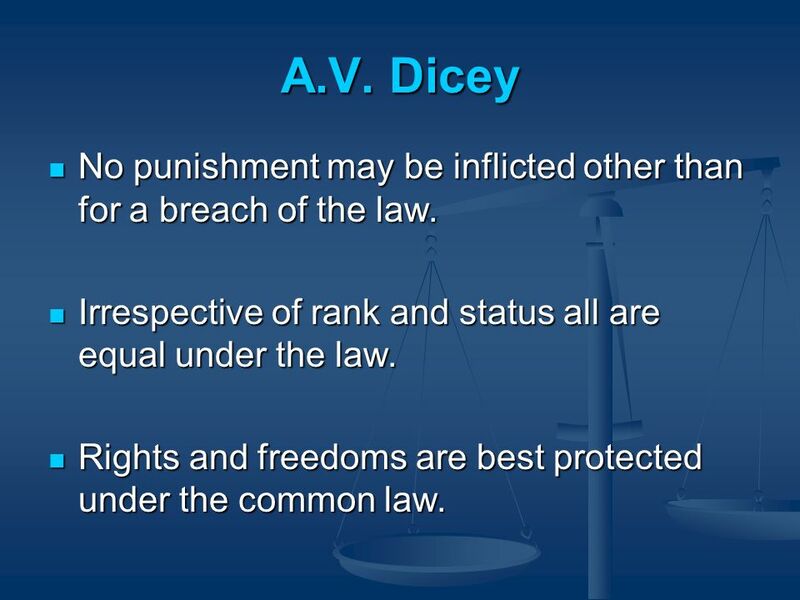 Dicey No punishment may be inflicted other than for a breach of the law. 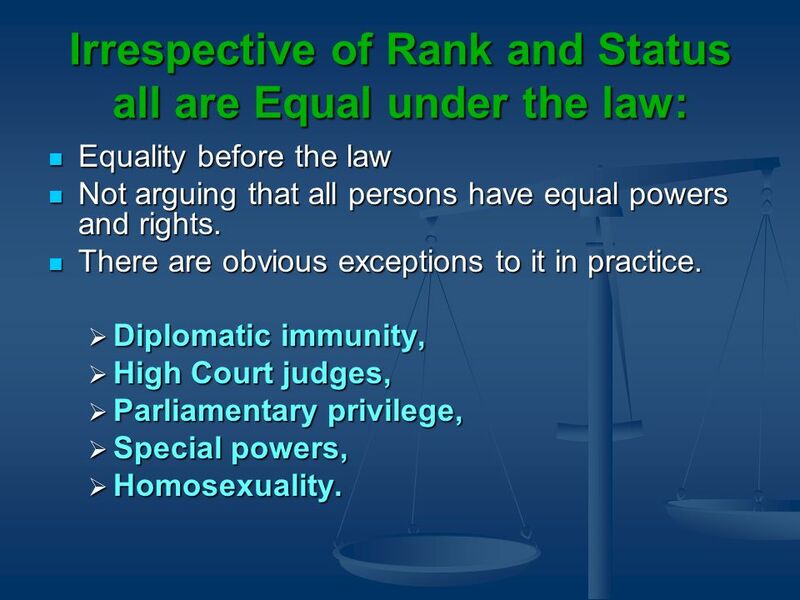 Irrespective of rank and status all are equal under the law. 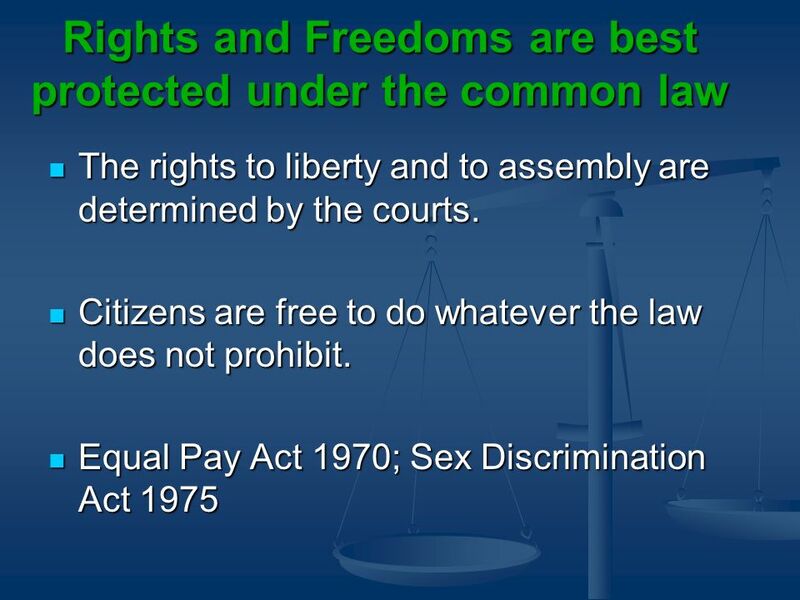 Rights and freedoms are best protected under the common law. 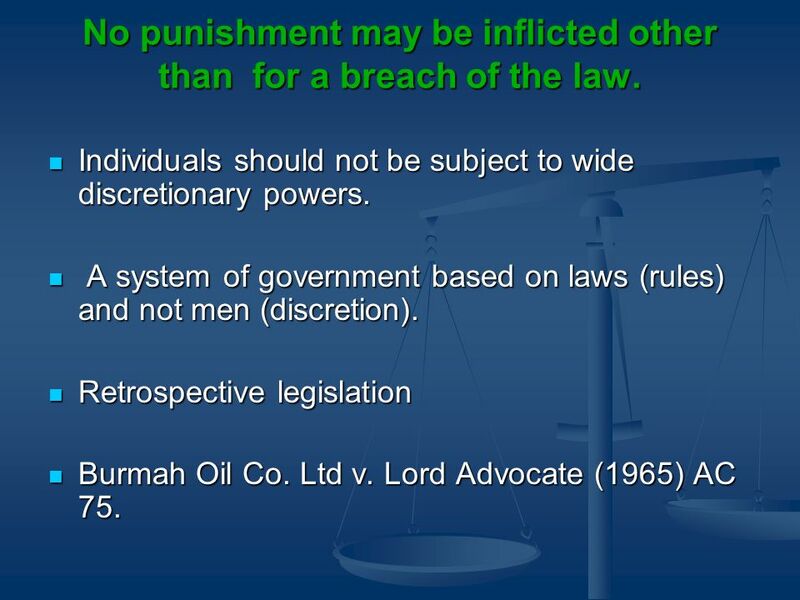 7 No punishment may be inflicted other than for a breach of the law. Individuals should not be subject to wide discretionary powers. A system of government based on laws (rules) and not men (discretion). Retrospective legislation Burmah Oil Co. Ltd v. Lord Advocate (1965) AC 75. Equality before the law Not arguing that all persons have equal powers and rights. There are obvious exceptions to it in practice. Diplomatic immunity, High Court judges, Parliamentary privilege, Special powers, Homosexuality. 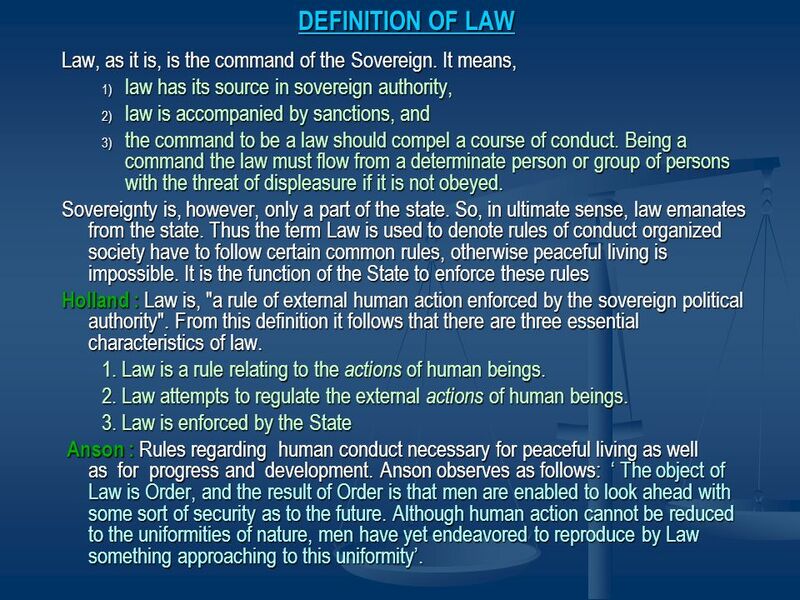 Download ppt "DEFINITION OF LAW Law, as it is, is the command of the Sovereign. It means, law has its source in sovereign authority, law is accom­panied by sanctions,"
Introduction to Administrative Law Administrative law is the body of law that governs the activities of administrative agencies of government. Consider: Can anarchism work? Give one reason why it might. The Last Word: Assignment 1 for tomorrow. Aristotle and Rationalism By: Noorain, Sonya, Pooneh. Legal Positivism and Natural Law Unit 2. John Austin Laws are rules laid down by superiors to guide those under them Rules are commands that affect specific. + Law & Society. + Thoughts? “The laws of a society reflect the values and beliefs of the people in that society.” Law is dynamic and changes as a society. Ethics system of principles governing morality and acceptable conduct system of principles governing morality and acceptable conduct principles of right. 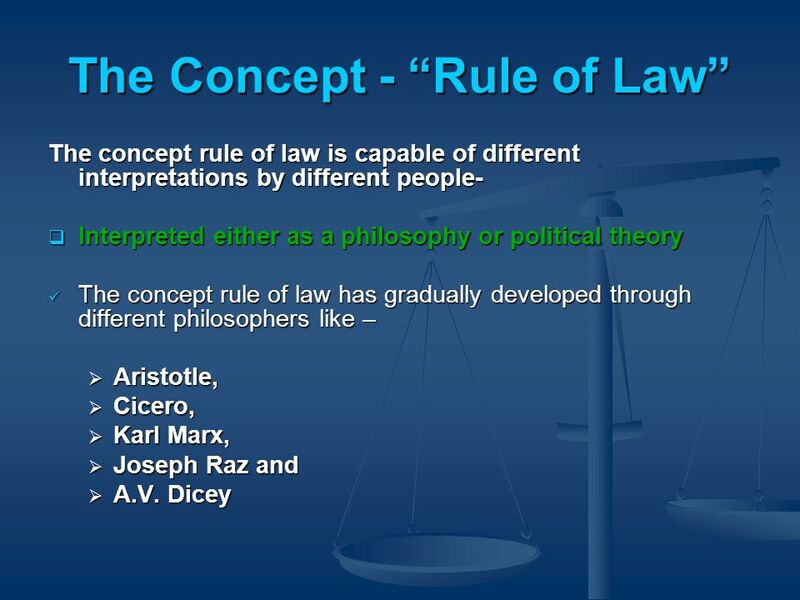 The Rule of Law Introduction: The principle of the ROL can be traced back to the writings of philosophers in ancient Rome and Greece. For example, the. Natural Rights ER 11, Spring 2012. Moral reasoning.